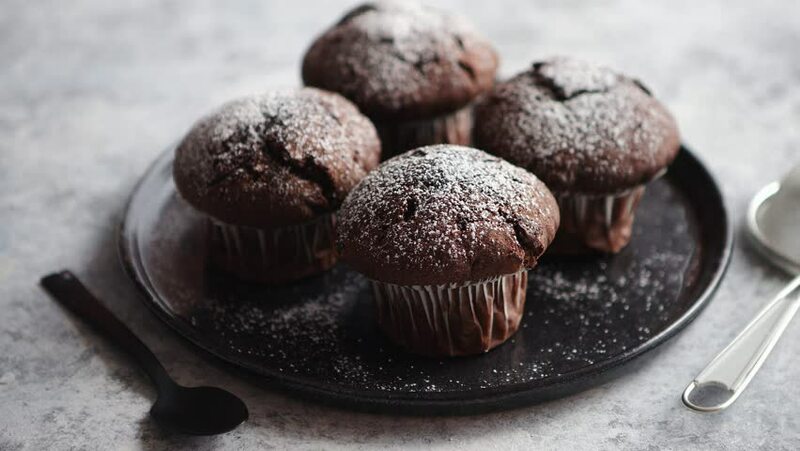 4k00:31Fresh and tasty chocolate muffins served on plate. Covered with powder sugar. Placed on stone background. hd00:13Out of the oven blueberry muffins with cinnamon and sugar topping. hd00:14Chocolate cupcake and cup of coffee on a white wooden table. Rotation. hd00:29Rotating cupcake, top view on textile background.